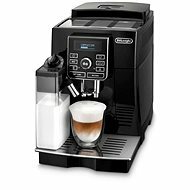 The ESAM 4500 is a fully automatic espresso machine with a 15-bar pressure pump and a built-in coffee grinder, always freshly ground for each serving. If you like, you can also use ground coffee. The electronic control system will allow you to save several settings to suit your every wish. It uses the unique patented IFD system to combine milk, steam, and air to dispense a cascade of frothy milk directly into the cup. You can easily adjust the amount of whipped foam to make cappuccino or caffe latte. For easy preparation, the back-lit display functions in a variety of languages. This coffee maker, thanks to its advanced features and quality components, can safely fulfil your every coffee need. Do you smell fresh coffee? Display, Milk system, Cup heater, Adjusting water amount, Adjusting coffee amount, Drip system Done! For shipping to other EU countries visit this page De'Longhi Magnifica ESAM 4500. 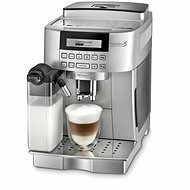 Für Versand nach Deutschland, besuchen Sie bitte DeLonghi ESAM 4500. Chcete doručit zboží do Česka? Prohlédněte si De'Longhi ESAM 4500. Chcete doručiť tovar na Slovensko? 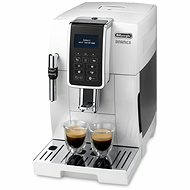 Prezrite si De'Longhi ESAM 4500. Für Versand nach Österreich, besuchen Sie bitte DeLonghi ESAM 4500. Magyarországra történő kiszállításért tekintse meg ezt a termékoldalt: De'Longhi ESAM 4500.